Using lasers to save history Jump to media player Scientists are hoping to digitally preserve the world's most important heritage sites. Passenger space balloon test flight Jump to media player BBC Click's LJ Rich looks at some of the best of the week's technology news. Could we see 3D printed human organs? Jump to media player Carnegie Mellon University researchers look to use off-the-shelf 3D printers to print human tissue. CyArk is a non-profit organisation seeking to digitally preserve 500 of the world's most important heritage sites within five years. 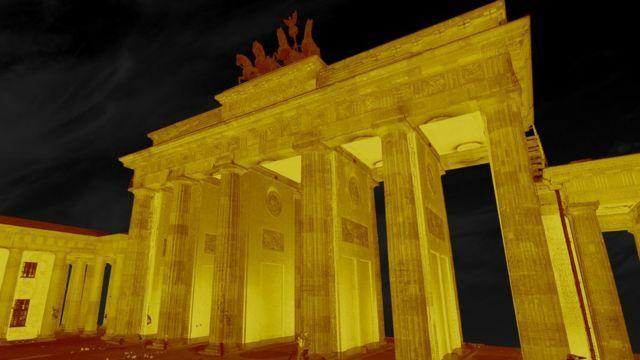 Over 90 projects including the Brandenburg Gate in Germany and the Ziggurat of Ur in Iraq have already been completed. The sites are recorded using reality-capture technologies such as 3D laser scanning, photogrammetry and traditional survey. BBC Click spoke to Ulrich Plechschmidt of Seagate Technology about the project.